How Much Money Should I Ask for My Car Accident Settlement? The question of how much money to ask for in a car accident settlement hinges on whether you are an experienced car accident lawyer, whether you are willing to file a lawsuit, and the size of your claim. At our law firm, all roads lead to the same Rome: how to do we maximize the value of this case? The demand is an important part of this equation. What Are Motor Vehicle Crash Personal Injury Cases Worth in Maryland? How much is an injury case worth in Maryland? Jury Verdict Research published a new Maryland specific study on the median compensation awards for car, truck and motorcycle accidents. In cases that go to trial, the median recovery was $11,328. Only in 1% of the cases did the jury award more than $500,000. Plaintiffs prevailed and received a recovery in 74% of the motor vehicle accident cases that went to trial in Maryland. I suspect a lot of that 26 % were just awful cases that never should have been filed. I’m excited to see a new study on Maryland auto accident verdicts because I love looking at statistics on jury verdicts. But I think the data is fairly useless. As I have written before, Maryland’s jury verdicts are distorted by the defense lawyers who routinely “bump up” what should be “small” tort claims to Circuit Court. In other words, if an auto collision lawyer in Maryland files a small claim for more than $15,000 but less than $30,000 (which is the new District Court maximum as of today), the insurance company’s lawyers may remove the case to Circuit Court, which generally requires a jury trial and almost invariably leads to greater expenses for both parties. This practice distorts the jury awards in a downward direction. I read Metro Jury Verdicts every month and half of the reported personal injury cases in Baltimore are nickel and dime cases that never should go in front of a jury. So I think this data is interesting and useless all at the same time. Our law firm has successfully handled hundreds of serious injury accident cases, earning tens of millions of dollars for our clients. We handle only serious injury claims. If you want someone to fight tooth and nail for you, call 800-553-8082 or get a free online consultation. This post was originally written ten years ago. It is 2018 now. (I’m passing this off as fresh content as opposed to writing a post this week. 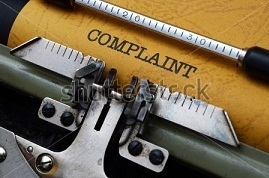 The new year has not been good for blogging on adding new content to the website although the Baltimore Injury Lawyer Blog is seeing a lot of fresh content.) But I can tell you that the data has likely remained relatively unchanged. Things are no better or worse than they used to be back in those days. Does this tell you much about the value of your case? It does not. Every case is different and our results do not predict yours. So why am I telling you this? I think many people who are badly injured read the statistics in this study and become despondent thinking they are doomed to a recovery somewhere near the Maryland average set out in the above statistics. Don’t be, because you are not. Value based on which Maryland county the injury or death occurred. If you want to get more money for your case, you need to learn to think like an insurance adjuster. They simply do not think the way you and I do. But there is an opportunity in this insanity to help you maximize the value of your case. I can’t say I’m a fan of any car insurance companies in Maryland. Some are worst than others. Here is my top 5 worst auto insurance companies to deal with list in personal injury cases. 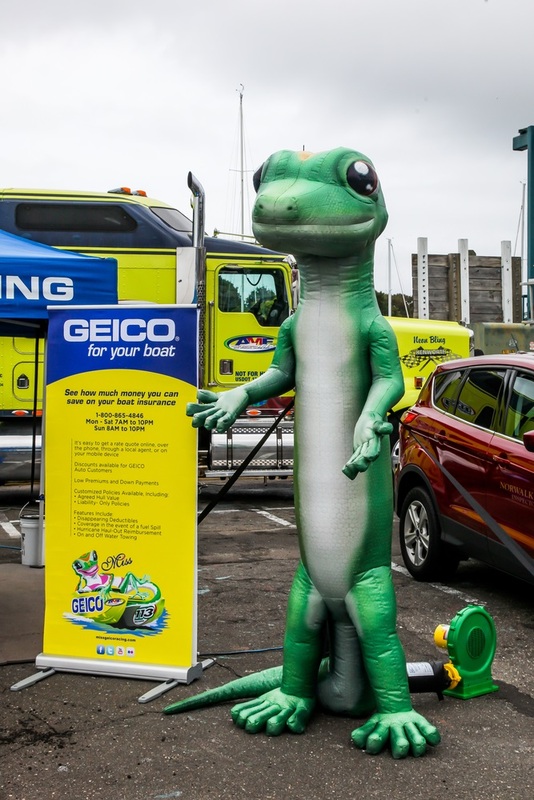 GEICO has the largest market share in Maryland. We see GEICO regularly. So that familiarity breeds contempt. GEICO makes the worst pre-suit offers of any of the big six insurance companies (State Farm, Allstate, Nationwide, USAA, Erie). So there’s that. Should Your Settle or File Suit/Go to Trial? There are a variety of motivations that impact the victim’s decision to settle or go to trial. It is worth underscoring: it is the victim’s decision. It is not a choice for the attorneys or the family. The victim has to choose the path that is best for them. There are certainly some Maryland injury attorneys who do not see it that way. It really is tempting — I’ve felt it — to think you know what is best for your client. I’ve settled cases where I was convinced the offer would double in a matter of weeks. But as a lawyer, your job really is to give your client the information to make an informed choice. Here are the three key factors victims need to consider: risk, time, and emotional strain. How Much Can You Sue for in a Wrongful Death in Maryland Lawsuit? If you are considering bringing a wrongful death lawsuit, one question may have is what is the most you can sue for in a wrongful death case? The better question is how much money can a jury award you. 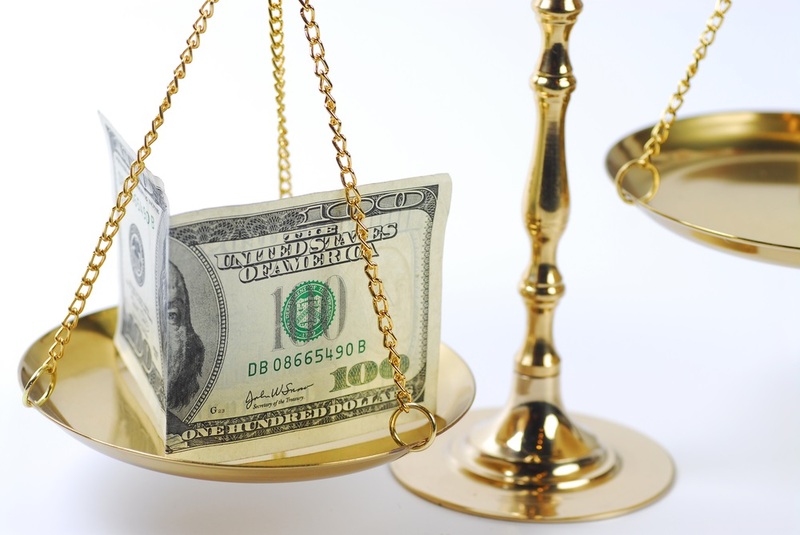 Because in a wrongful death case in Maryland, you no longer ask for a specific amount of money in the Complaint. Assuming the plaintiff’s lawyer understands Maryland law, the days of the Baltimore Sun publishing a story about a $100 million wrongful death lawsuit are over. Today, we do not sue for a specific amount, but we ask for what a judge or jury deems just. A wrongful death claim is a statutory cause of action governed by the specific rules of Maryland law. It bears repeating that actions for wrongful death in Maryland must be commenced within three years of the death of the injured person. To date, the Maryland General Assembly has only enacted exceptions for deaths caused by occupational disease and criminal homicide. Our law firm has successfully handled scores of serious knee injury cases. Most recently, we won a $5.2 million verdict in a knee injury case. We fight for our clients. Call 800-553-8082 or get a free online consultation. 8% of knee injury verdicts were over $1,000,000. How do you define severe? JVR defines it as knee dislocation, fractures, replacements, and aggravation of a preexisting knee injury. I certainly understand the first three categories; aggravation of a preexisting knee injury more subjective and a little harder to define — and brings the average verdict lower. Half of these cases are car accident lawsuits, and the other half includes every personal injury case under the sun. In Maryland, I’ll bet it is probably approaching 75% of the cases because we have fewer premises liability cases because of contributory negligence. It is the most frequent injury in premises liability cases, most from slip and falls. So it is hard to extract much meaning from this average serious knee injury verdict. But there are a lot of numbers in the report that breaks it down a little further. JVR does not provide the average accident knee injury verdict in motor vehicle collision cases. I wish they did because the average verdict always gets you more pumped up. But the median is probably more illustrative. The median knee injury verdict in a car accident case is $94,406. More interesting is the middle 50% – the 25th to the 75th percentile – ranges from $26,255-$216,726. Obviously, that is a big range, and I would suggest that bottom quartile is not severe injury cases. The last knee injury case we took to trial led to a $5.2 million verdict. That was a severe injury case where the client required a below-the-knee amputation. Motorcycle accident knee injuries involve, as you would expect, more serious injuries. The median verdict is $191,884. The middle 50% range is $83,300-$287,500. Keep in mind, this is a survey of plaintiffs’ verdicts. The hard part in motorcycle accident cases is getting the verdict in the first place. It is amazing how many motorcycle accident lawsuits involve contested liability. Motorcycle cases get fought like World War III on liability in cases where the defendant’s lawyer would stipulate to liability under the same facts if the plaintiff were driving a car. It never ceases to amaze me. But I’ll admit there is a method to the madness: juries don’t like motorcyclists. Is this unfair? Of course it is. Can good counsel overcome it? Often, yes. Rear end accident knee injuries have a median verdict of woeful $9,095. The middle 50% range is $1,624-$41,098. These statistics make sense. 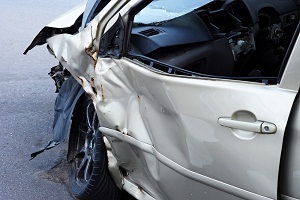 There are just not a lot of knee injuries in rear-end accidents. So many of the claims are those with preexisting injuries, which are the toughest cases to bring. There are not a lot of serious “knee injuries only” in rear-end car accidents. If you hurt your knee badly in the accident, chances are you have a more serious injury than just your knee. Keep in mind that all of these stats are third-party insurance claims. Workers comp cases have an entirely different — and lower — formula to calculate the value of knee injury cases at work. If you have a knee injury claim in Maryland or Washington, D.C., call us today at 800-553-8082 so we can discuss your options. You can also fill out this free claim evaluation form, and we can talk about your case online. We have recovered millions for our client in knee injury cases, and we may be able to help you. Baltimore City settled a wrongful death and survival action by Freddie Gray’s family for $6.4 million. The criminally unfair Maryland Local Government Tort Claim Act would have capped these claims at $400,000. So Baltimore City settled for a whopping $6 million more than the maximum value of the case. Said another way, the settlement was 16 times the cap for personal injury and wrongful death claims had this case taken the standard path and been heard by a Baltimore City jury. 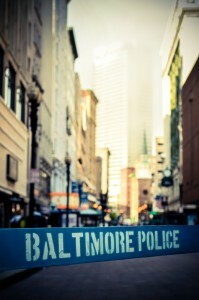 High profile cases mold public perception in Baltimore and throughout Maryland about our civil justice system. People form impressions on how well the system performs when placing a dollar amount on personal injury and wrongful death cases. On some level, Freddie Gray is a Baltimore specific McDonald’s coffee case. 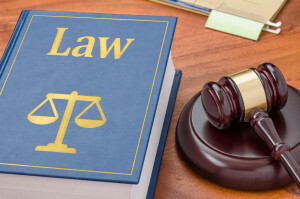 It has now been 24 years since Stella Liebeck spilled coffee on herself at a McDonald’s drive-through in New Mexico and that case continues to inform prospective jurors on how personal injury cases actually work. Freddie Gray may leave a similar legacy in Baltimore. What will that legacy be? What misimpressions will juror carry into the jury box as a result of this case? I believe there are unintended consequences to this settlement that will be felt for years. Do I Specialize in Maryland Personal Injury Law? Maryland personal injury lawyers are not permitted to say that they specialize in personal injury law. This may soon change. The Maryland Court of Appeals is considering amendments to Rule 7.4 of the Lawyers’ Rules of Professional Conduct that would permit a Maryland personal injury attorney — or any lawyer for that matter — who has been certified as a specialist in a particular area of law to hold themselves out to the public as a specialist. What would the attorney’s qualifications be for specialization? I think this may be the challenge that led the court to defer ruling on this issue, which they did last week. There are an unbelievable number of variables involved in arriving at a settlement value for a personal injury case. Compensation offers vary wildly because there are so many different factors that have different weights attached to them. But assuming there is no issue about the amount of money available* to pay on the claim, the single most reliable predict of settlement value is the type of injury. There are two key factors to consider when looking at the type of injury.